On the heels of the Florida Winter Auctions, we decided to compare one of our Heavy Haulers quotes for moving equipment against the quotes of two other major online equipment shippers. Result: Heavy Haulers’ bid was lower than all online bids by at least 5%. Heavy Haulers’ bid to ship the crawler tractor was $3,500, including fees and expenses. The tractor itself was only 8 feet 5 inches wide. But the dozer blade was 11 feet wide, and you can’t angle it for travel. As a result of the oversize width, the shipment required oversize permits from all eight states along the travel path. UShip was the only online shipping service that offered a quote that was close to Heavy Haulers’ bid. The lowest bid we received from UShip was for $3,386. 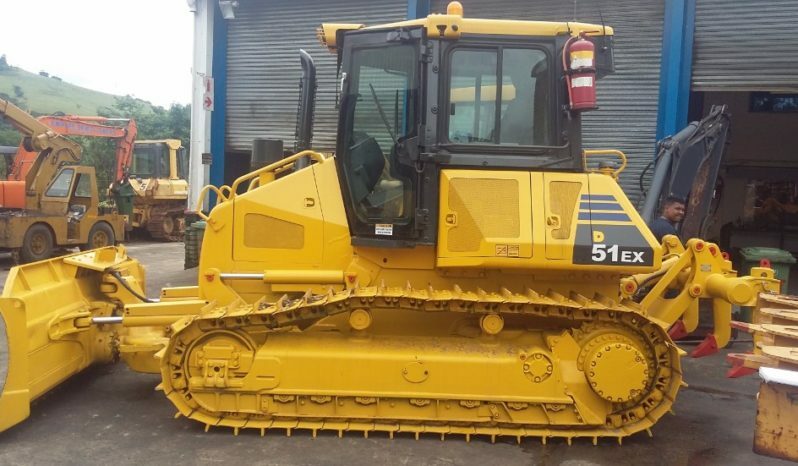 Add in UShip’s 7% fee, and UShip’s total cost for shipping the dozer was $3,628. The Uship auction devolved into a bidding war, with three companies fighting it out until the end. While that might seem like a benefit, it took a week for UShip’s bids to get close to Heavy Haulers’ bids. The three companies issued six bids each over the week the auction was in force. Eventually, all three companies bid within $16 of each other. One company’s bids declined by more than $1,200 over the course of the auction. Another company’s quotes dropped by more than $700. If you want to get the best quote from UShip, you’ll need to wait a week or so for bids to drop. Conversely, Heavy Haulers issues you one competitive bid right away – usually within minutes. Fr8Star wanted greater than 50% more than Heavy Haulers to ship the bulldozer. The lowest bid from Fr8Star was $5,013. Add in Fr8Star’s 10% fee, and the total cost for the lowest Fr8Star bid was $5,514 – nearly two-thirds higher than Heavy Haulers’ total cost. The only other bid we received from Fr8Star was for for $6,525. The second bidder, however, was operating an RGN trailer. The first bidder owned a step-deck trailer. RGNs cost more to hire than step-decks. Since the piece of equipment fits easily on a step-deck trailer, you would be buying too much trailer if you used an RGN. Selecting the proper trailers is one of the main duties of a transportation agent. The UShip auction allowed competing carriers to see each others bids, so they could place competing bids. Fr8Star allows you to choose between those two types of shipping auctions. For this study, carriers were bidding blind on Fr8Star. If the other type of auction had been chosen, more bidders probably would have appeared. Remember, online shipping services only connect you with an equipment transport company. The transport company is free to renege on the transaction up until the paperwork is signed. If you choose a low-ball offer from a company with a short performance history, be prepared for them to renege on their low-ball bid. That won’t cost you money because you’ve never paid them, but it will cost you the time it takes to find another carrier.